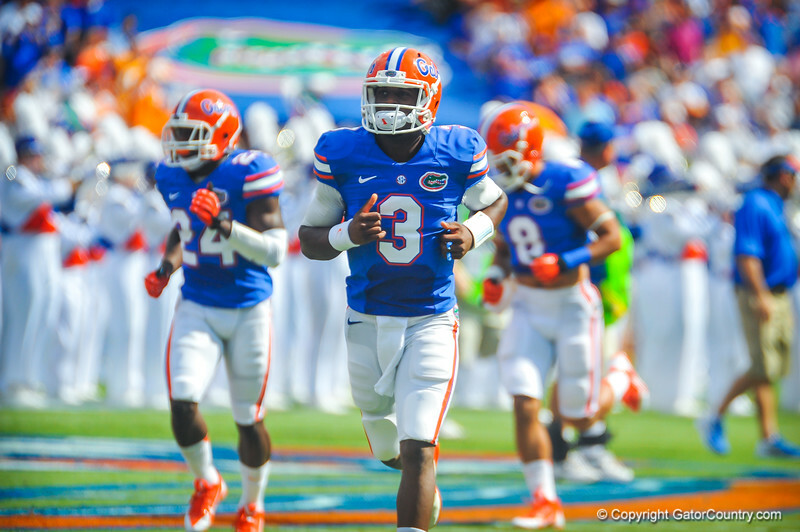 QB Tyler Murphy runs out onto the field for the start of the Tennessee game. Gators vs Tennessee Volunteers. September 21, 2013.